Feed your need for sports news between issues of Response. Visit spufalcons.com for up-to-date news, stats, photos, and video. And follow @SPUSports on Twitter. Gas didn't cost even a dollar a gallon. Phones hung on the kitchen wall … and Seattle Pacific’s last name was College. That’s the way things were in 1974 when Mike Downs ’77 first took the basketball court in a smaller Brougham Pavilion. Now, four decades later, the price of gas has quadrupled, phones fit in the palm of one’s hand, and Seattle Pacific’s last name is University. Times change, and eras end. That’s also true on the basketball court. This June, a big one ended for the Falcons as David Downs, the youngest of Mike’s four children and the second of those offspring to suit up with the Falcons, donned cap and gown to collect his degree in accounting. He certainly closed the curtain in highlight-reel style. During his recently concluded senior season, David led SPU to its second consecutive Great Northwest Athletic Conference Tournament championship, and a 10th straight appearance in the NCAA Tournament — the latter being the longest current streak among Division II men's teams. In so doing, he was honored as the men’s basketball GNAC Player of the Year, and the Daktronics West Region Player of the Year, and was voted to the elite National Association of Basketball Coaches All- America team and to the CoSIDA Academic All-America team. Between Mike (1974–77), his older brother Gary (1974–75), Jeff (2008–11; David's older brother) and David (2011–14), the Falcons played 348 games with a Downs in uniform. Of those, 221 ended in victories (a nifty .635 winning percentage). Neither Jeff nor David ever missed an NCAA Tournament, and Mike's 1977 Seattle Pacific team also got to the NCAAs. But while basketball in general and Seattle Pacific basketball in particular clearly have been important to this family, it’s just as clear that family is even more important. Mike coached his three sons (Daniel ultimately went on to college baseball) when they played high school hoops at Bellevue Christian. But as David and Jeff recalled last year while preparing to celebrate Father’s Day with Mike, he was always able to distinguish between being Dad and being Coach. 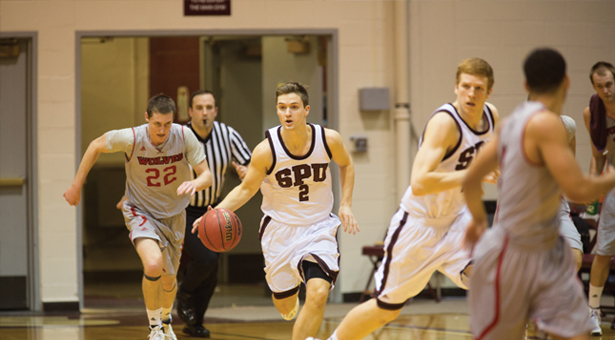 Jeff, Seattle Pacific's team MVP in 2011 and also an All- GNAC and CoSIDA Academic All-District selection that year, remembered times when he made his dad proud — and other times when he ticked him off. And even on those few occasions when Coach Mike kicked Jeff out of practice, Dad Mike never let it go beyond the gymnasium door. Mike retired from coaching last year, but still teaches sixth grade at Bellevue Christian. 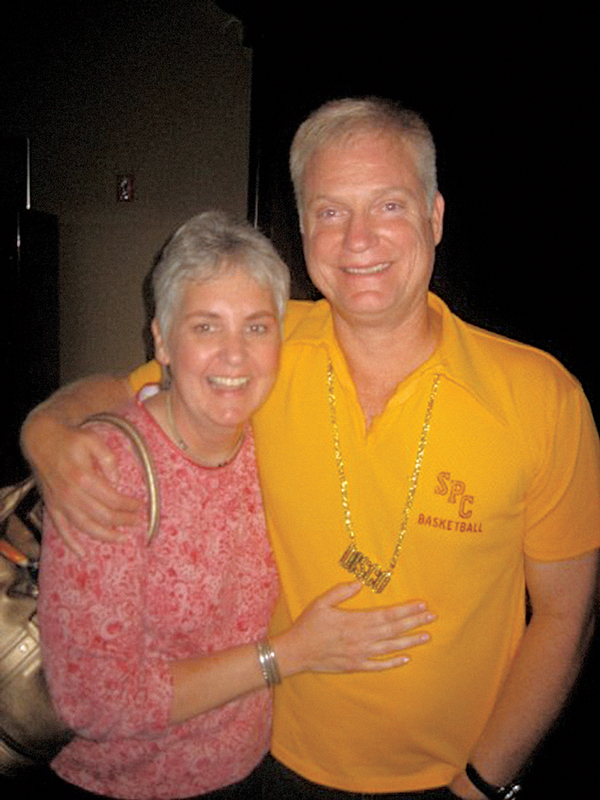 He was honored with SPU’s Medallion Award for outstanding service in 2012, together with a posthumous award for his wife, Jan Millard Downs ’79, who died of cancer in 2010. Jeff lives and works in the Seattle area, and David is leaving the door open to professional basketball possibilities overseas, having signed with an agent in Italy. As for finishing up the family legacy at SPU? David says the legacy he hopes to leave is one that anyone can follow if they're willing to do what it takes.